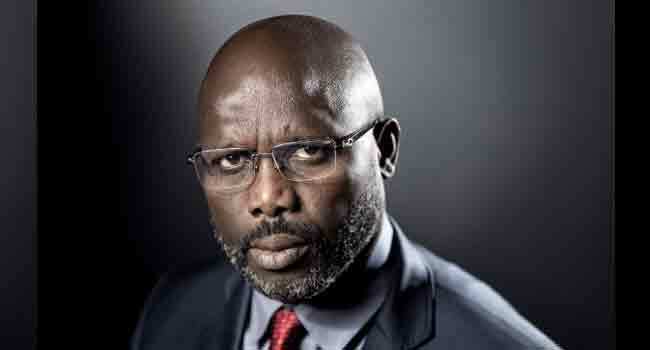 With one Liberian newspaper facing a $1.8 million defamation case and a BBC journalist fleeing the country, there has been no honeymoon period for the press under the new government of President George Weah. Accused of wanting to muzzle the media, the former footballer-turned-politician has attempted to reassure journalists saying they would have a “200 percent freedom of expression and press freedom under my government”. The Committee to Protect Journalists (CPJ), however, has expressed concern over the $1.8 million in defamation suits against Front Page Africa, a Liberian newspaper that has carried critical coverage of successive governments. “Liberia has a troubling history of libel lawsuits where applicants ask for exorbitant damages simply to harass and intimidate journalists, resulting in their imprisonment or the closure of news outlets,” said Angela Quintal, CPJ Africa programme coordinator. “The government should move swiftly to reform Liberia’s libel laws to guard against their abuse in this way,” Quintal added. During a visit to Monrovia in March, the UN’s rapporteur on freedom of expression David Kaye expressed concern over the consequences of large financial penalties in civil libel suits against Liberian journalists and newspapers. The Ministry of Information has denied any government involvement in the law suits against Front Page Africa which relate to a private dispute following the publication of an advertisement. But the newspaper’s management and the CPJ blame the situation on its criticism of those in power, highlighting the presence among the complainants of a former member of Weah’s party and the absence of legal action against other media outlets. In another media drama, the BBC’s correspondent Jonathan Paye-Layleh left the country saying he feared reprisals by supporters of the president after Weah accused him of being against him. “My fears go beyond the possibility of the president ordering my arrest some day and formally unsealing the indictment that he has already hinted (at) by his verbal attack,” Paye-Layleh said in a message to colleagues. “I fear more that some of the tens of thousands of Mr President’s supporters… could understand his allegations against me to mean that I am his enemy. And you can imagine what could happen to me in some corners without it necessarily being by his directive,” he added. Weah’s accusation against the journalist in March followed a visit by UN deputy Secretary-General Amina Mohammed and a question from the journalist on the sensitive subject of the setting up a court for the perpetrators of crimes committed during the 1989-2003 civil war. A large number of figures directly implicated in the civil war still occupy important positions in the political and economic spheres in the country. A few days later, Weah said he did not harbour any animosity towards the correspondent and protested his commitment to press freedom. But at a meeting last week, press bosses said they were “alarmed” by the recent escalation of threats, intimidation and harassment of journalists, according to The Press Union of Liberia (PUL). “With the departure of the United Nations Mission in Liberia, the Government is the biggest player in the media economy,” the PUL noted, highlighting the difficulties faced by the sector due to a slow economy and the desire of some officials to “strangulate” the media by limiting advertising. Weah tried again to allay the sector’s fears last week when he met the heads of all the country’s media. “I want to promise you… 200 percent freedom of expression and press freedom under my government. How can a man like me with soft heart, humble background as well as scores of friends in the country clamp down on free speech. There is no way I can use my position to hunt people for expressing their views to criticise me,” he said. “While it is true the media and journalists are at liberty to write and criticise in whatever way they see, it is also incumbent of the media to mention the achievements of the government,” he added.